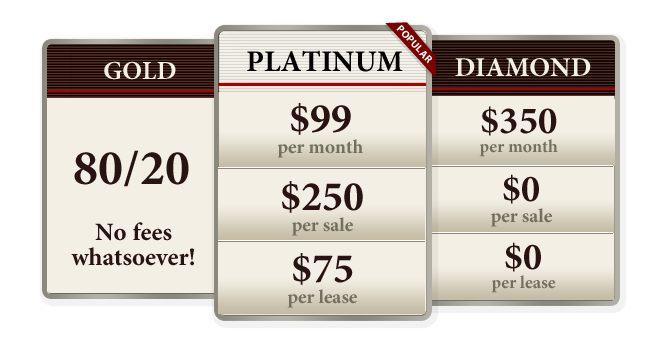 This plan involves an 80/20 agent/broker split, with no office fees, no franchise fees and no quotes to meet. This plan is ideal if you want to eliminate monthly costs and still maintain the majority of your commission. For complete details visit our career website. View our technology, agent resources, training, lead generation platform and more at www.viprealtycareers.com. There is no better time to KICKSTART your real estate career and no better firm through which to do it.